After losing the first game, the hosts have done well by winning all the last three games in the row. It was a lose to New Zealand by a significant margin; then it turned out to be a knockout stage in the Super 10 itself. India came out of under high-pressure situation to winning the game and becoming a better team. The worry for West Indies is that the host side has played well and won three matches continuously. Thus, the opposition team can think of the level of Indian cricket team at this time. And it will be over for the Caribbeans in just a few moments if the openers fired well for the host nation. And what if bowlers and batsmen show their team effort? If that happens, the Caribbeans would not be able to do much. The Caribbeans would be relying once again on its stormer Chris Gayle. The Wankhede stadium has already experienced the strength to which Chris Gayle thrashed England’s bowlers. Gayle will be in the playing eleven for sure with such hope. Last time, the home crowd supported him, but this time, they would be hope for getting him out early. West Indies have some good players, but if India plays to its full potential, then Gayle is the only man who can rescue his team. So, WI doesn’t want Indian team to complete their 100%; then they would need to take wickets of openers – Sharma and Dhawan very early else they will gain momentum. Apart from them, they would need to take care of Dhoni, Kohli, and the bowling attack by Ashwin. The bigger thing to worry for WI is that they would have to stand out under the pressure and not crumble if Gayle flops in the game. The other hands would need to take complete responsibility. The pitch at Wankhede has been the dream of batsmen for always. So, the key to win is surely the batting in the semifinal. Not only West Indies, but India also need to think in this way too. If you don’t remember, then let us tell you that England chased down the target of 229 runs given by South Africa this year and last year, South Africa scored a massive score of 438 runs in an ODI against India. So, it shows how good the ground is for batsmen. India is considered to be the favorite to win the 2016 title. So, amidst of such a match, the toss can play a significant role. It can balance the game according to Sammy. However, we are near to a high-scoring semifinal. 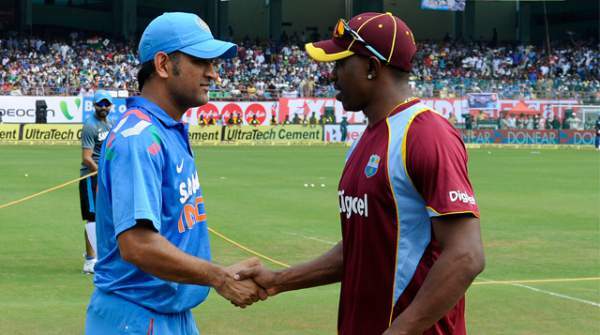 Ind vs WI is to start at 7 pm IST or 1:30 pm GMT. Indian viewers can watch it on DD National, Star Sports network tv channels. Else, you can catch it on starsports.com and hotstar. In the Caribbean region, it can be watched on ESPN while it can be streamed on ESPN Play. The semifinal World T20 will air on Fox Sports in Australia while the option to stream it live will be on Foxtel and Cricket Australia Live. For watching it in the US and Canada, the viewers can go to Willow TV. The audience residing in the UK, Ireland, England can watch WI v IND on Sky Sports 2 while live stream will be on Watch Sky Sports and Sky Go. The people of New Zealand can look at the broadcast done by Sky Sport and Sky Go NZ. Yupp TV, OSN Cricket, and OSN Play will provide the live updates in the Middle East and North Africa. For South Africa and Sub-Saharan Africa region, it will be aired on SuperSport. They can refer to SuperSport Live Video for watching it online.